WE SHOULD RESPECT OUR CULTURE & TRADITIONs ! MANY BIRDS DIE DUE TO THIRST, IN HOT SEASØN. BIRDS ARE ESSENTIAL PART OF OUR LIFE.THESE ARE THE IMPORTANT MEMBERS OF THIS WÖRLD. THEY PLAY AN IMPORTANT ROLE TÖ MAINTAIN THE ENVIRONMENT FIT. ALMOST THE BIRDS ARE SUFFERING THE PROBLEMS OF NESTS, FEEDING, HUNGER, THRUST, SHADOW & MAN MAID NOISE. GLOBAL WARMING ; POLLUTION ARE NEGATIVE ASPECTs ØF OUR SOCIETY. WE HAVE DESTROYED THE WATER RESERVOIRS, FÖRESTS, SHAPE OF HILLY AREAS. BIRDS HAVE NO NATURAL SHELTERs TØ LIVE. THUS WE ARE HUNTER & KILLER. NEEL GAGAN ME UDTE PANCHHI JA, JAA, JAAA ! DEKH ABHI HAI KACHHA DANA , PAK JAYE TO KHA !! SADAR PRANAM, I HAVE READ ALL ABOVE WHICH YOU HAVE WRITTEN ON BLOGSPOT. I LIKE IT VERY MUCH , PLEASE CONTINUE SENDING THESE TYPE OF MESSAGES. Subject: Raja Soni commented on your link. 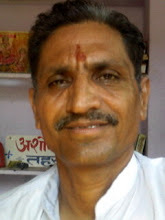 Raja Soni commented on your link. Raja wrote: "gyan vrdhk h"
VIJAY VISHW TIRANGA PYARA ! BE BOLD; IN WHAT YOU STAND FOR !